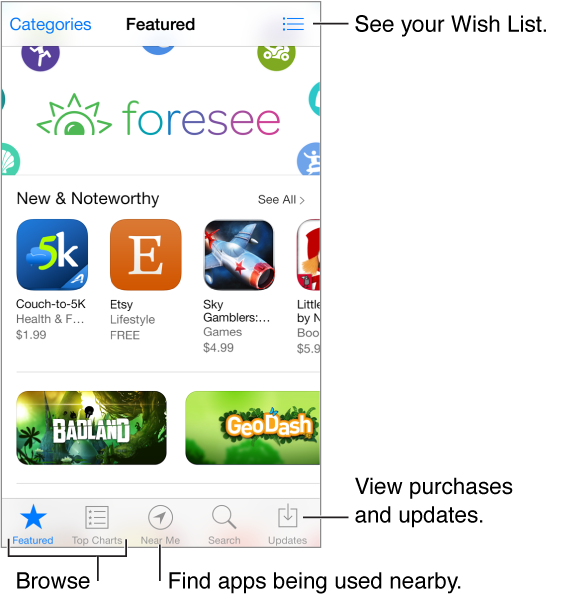 Use the App Store to browse, purchase, and download apps to iPhone. Note: You need an Internet connection and an Apple ID to use the App Store. The App Store is not available in all areas.